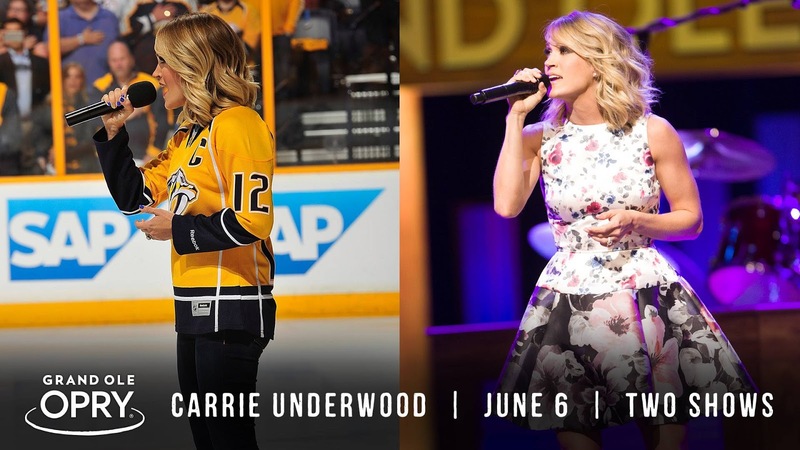 Carrie Underwood Joins Tuesday June 6th Opry Lineup! The Grand Ole Opry has announced that Carrie Underwood will take the stage for both shows on Tuesday, June 6th! She joins previously announced performers Dustin Lynch, Bill Anderson, and Del McCoury. Be sure to head over early for the Opry Plaza Party at 5 pm to catch a free performance by Parmalee! Tickets are still available here.